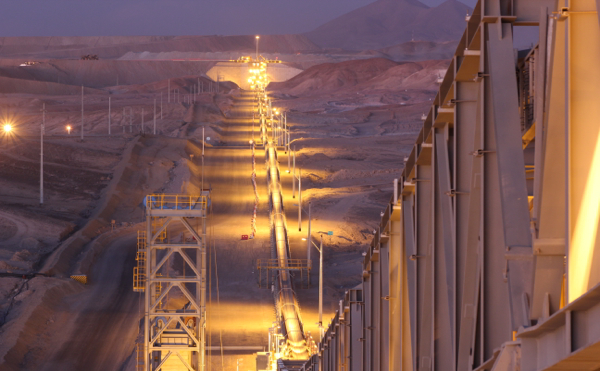 Esperanza mine, in central-northern Chile, is one of the flagship operations of Antofagasta Minerals. Antofagasta Minerals, the most profitable division of Antofagasta plc (LON:ANTO), has submmited to Chile’s environmental evaluation body about $30 million worth of drilling projects the firm wants to conduct in the mineral-rich area called TYC corridor, located in the country’s north. The group, which unveiled record copper output for 2013 last week, wants the government’s approval to conduct drilling in 300 new points included in previously authorized projects, Minería Chilena reports (in Spanish). The company, one of the largest “pure play” copper miners, mines exclusively in Chile, which is seen as a stable but somewhat high-cost jurisdiction. Antofagasta is also building another mine in the South American country, Antucoya, which is expected to start production in 2015. Operational costs for all copper producers in Chile were pushed up last year by higher energy bills as well as lower prices for metals, including gold, which Antofagasta mines and sells as a by-product of its main operations. For this year the miner expects production to be about 700,000 tonnes of copper, 270,000 ounces of gold and 7,500 tonnes of molybdenum. Image courtesy of Antofagasta PLC.